Reclaimed Barn Siding and paneling has grown in popularity over the recent years. Many are looking for smaller amounts of square footage to complete an accent wall or to wrap around bars, kitchen islands, and other built-ins. Our reclaimed paneling will contain all of the characteristics of reclaimed materials such as nail holes, insect markings, weather checking, knot structure and varied texture. Each of these materials is sourced from reclaimed structures and can be FSC® Certified upon request. When placing an order with our sales team you will ensure a good mix of random widths and lengths which adds to the authentic look and feel. If you are more of a DIY type we also encourage you to take a look at what we have available in stock in our Lumber Barn for you to self-select. Either way you will end up with a one-of-a-kind finished product you will be proud to display in your home. Also known as “Mushroomwood,” this texture is achieved by sculpting rich brown reclaimed softwoods that are naily and knotty. The texture is rough and rustic, and the color is a uniformed brown. Water-based finish can be added to make cleaning easier, as well as a ebony stain and water based finish to make it dark and dramatic. Found under barns where animals once roamed, this product is typically only harvested during certain times of the year. Boards are unearthed and tend to have mushrooms growing on them. The degradation from the weight of the animals as well as the mushrooms and soil, allow this wood to form a unique textured appearance. 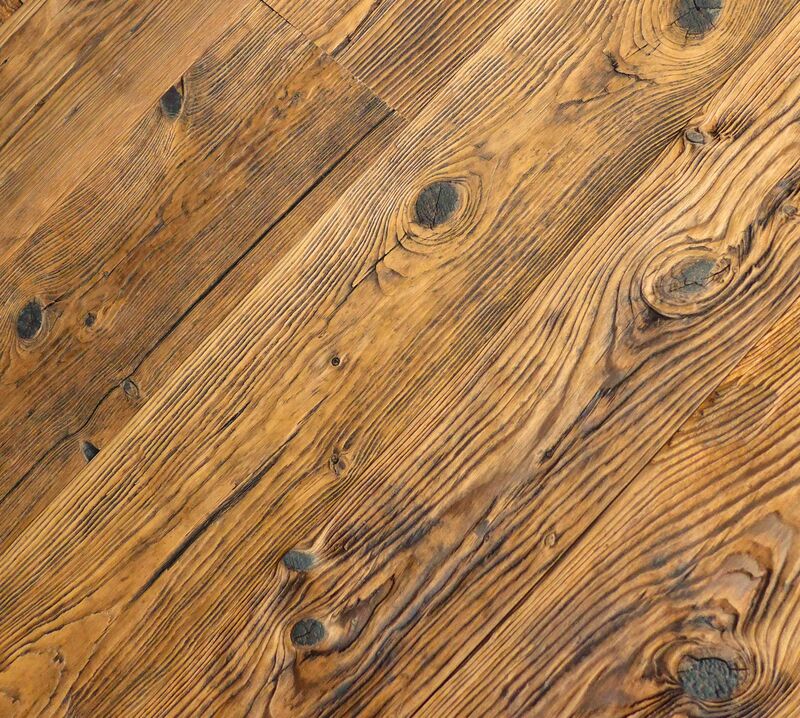 * Please note due to the reclamation process and the natural differences in reclaimed wood, our displays and samples are close representations of a finished product. Every product is unique and may contain more or less characteristics than represented. Wood is a natural product and because of this, we recommend ordering samples of our products before making your paneling choice. We will send multiple pieces of each product to give a full representation of the grade and specie. Together, these pieces represent the grade, specie or product specified. Please do not reference an individual sample, piece of the sample or image as an accurate representation of the entire grade, specie or product. Please consult your sales representative with any questions or to request more samples.